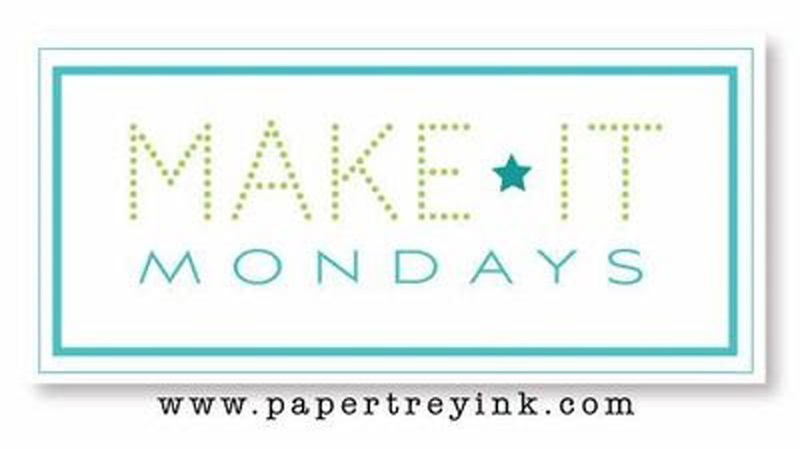 Papertrey Ink's Make It Monday this week is #289 in the series and Lizzie Jones has a demonstration on how to use the smaller images in our stamp sets to create a wreath. For her card, Lizzie used a circle die cut to trace a faint outline on her card front panel to serve as her guideline. 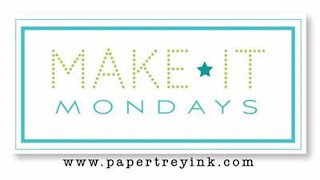 When I saw the subject of her video, I immediately thought of the Make It Market Mini Kit: Garden Gild that is available in the Papertrey Store. This set has lots of smaller sized flowers and leaves that you can use to create a wreath. I could have used Paper Clippings: Done in Love or Friendship Jar Flowers would also have been great choices. Any set that has lots of smaller images would work well. Because I have the kit, I also have a few of those pre-printed watercolor pages that Betsy designed so I used one of those sheets. It has the watercolor in a circular arrangement already so I only had to add my stamping to it. I used Papertrey Inks in Aqua Mist, New Leaf, Lavender Moon, Summer Sunrise, and Pale Peony. The three large flowers have a little crystal center and I used a Jelly Roll Sparkler Pen in clear for the center of the other flowers. As you probably already noticed, I didn't use any gold on this card and I do love how it came out. I used a few different stitched rectangle dies to cut the front panel and the background layer was cut from Aqua Mist Cardstock and were then adhered to a top folding card base made from Stamper's Select White Cardstock. Thank you so much for stopping in today! Be sure to check out the post and video at Nichole Heady's Blog here. This is so pretty! What a great idea to use one of the pre colored sheets. This worked perfectly for this challenge. Your card is beautiful! So beautiful...love your gorgeous wreath! What a fun way to use the preprinted paper! Beautiful wreath, Vicki! Lovely soft stitched frame too! Very pretty! Love the way you colored in the center of your wreath. What a great idea to start with the pre-printed design, and build your wreath around it -- turned out great! Really pretty and Brilliant to use the watercolor sheet! I have all of these too and NEVER use them even though they are just beautiful! Your pretty flower stamping looks great on that background paper!! Gorgeous card, Vicki, and love how you stamped your wreath around the already watercolored paper! First glance, I thought you sponged/blended the center.